Jesus tells a parable about seeds in Mark’s Gospel that seems to fit our experience as we discern God’s call for our lives. He mentions four places the seeds land: sandy soil, rocky soil, soil covered in thorny plants, and rich soil. This is how the seeds work in our lives. We might get a hint that we‘re called to be a Sister, a member of a religious community. Of course, it doesn’t go anywhere because it doesn’t get the needed attention from us. It dries up like sand and blows away. Another time we may hear a homily or a lecture in class that sparks the same desire. This time we do some research into various communities available, but after a little while that too gets put on the (rocky) shelf, so to speak, and we forget about it. At a future time maybe a friend, a mentor or a family member asks whether we had ever considered joining a religious order. This time because they know us as well as they do, we take notice of their question and ask what they see in us that made them ask. This time we actually spend time thinking about their question, maybe journaling our thoughts and feelings. But after a while our job demands increase, worries about paying off student loans or the next fad around campus or clothing that comes into fashion chokes off our attention to this possibility. Perhaps several months or years later the thought about joining a religious order comes into our awareness again. This time we realize there might be something to it and we talk with our pastor or a Sister or we start meeting with a spiritual director. This time we’re committed to respond differently and more wholly. This time the Spirit can work in the rich soil our lives have become. This time we decide to trust the Spirit’s influence to grow in us until we bear fruit. Such is the way of the Sower of seeds. 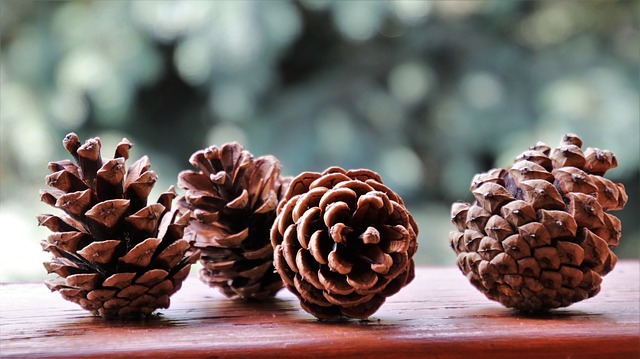 Have you ever noticed that pine cones hold hidden seeds? Each cone, each seed is full of promise for the future, no matter how large or small they are. The same is also true for each of us. Our lives hold seeds full of promise. They can be hidden so deeply within our longings that we can’t see or recognize them at first. But they are within us. As we complete this Advent time of waiting, I’d like to invite you to consider attending our March 1-3, 2019, weekend here in Adrian to discern what those hidden desires of your heart are. These are the ones planted by the Spirit and awaiting time for you to ponder them. The gathering will provide time to listen – to yourself and others, to pray and to examine those seeds of God’s calling that want to grow in our lives. What a lovely gift to offer yourself the time to really pay attention. Click here for a detailed description of the upcoming event. Last week I spoke with a friend on the phone as she was out in her garden plucking seeds from this summer’s dead flowers, just to get a head start on next spring’s planting season. She’s a seed-saver. I realize there are some professional seed-savers who not only save a diverse range of seeds, but also save them in protected storage areas where they will remain safe should our bio-diversity dwindle even more than it has already. What I like about these seed-savers is their sense of hope in the future. They believe in life’s potential. 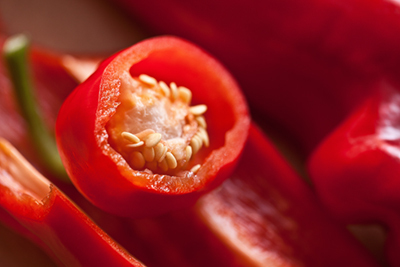 Fruits and vegetables are natural seed-savers. Having a ready supply of seeds to begin a new season of growth seems to me the height of responsible living. All this brings me to those special seeds of insight and awareness that we have collected as we live each day. Some people collect these “seeds” by writing them in a journal. Others speak with trusted friends about them. Still others have artistic skills and so they compose songs or poetry, paintings or sculptures that embody those precious seeds of knowing what they value in life. When we know what we value, what is important to us, we can more easily align our values with what God is calling us to do with our lives. PS – to learn a more about how Adrian Dominican Sisters and Co-workers have worked with seeds for the future, visit our Permaculture website.